Season 3 of Canada’s Smartest Person went by in a flash! We had numerous special guests, and amazing Canadians across the country competing for the ultimate title: Canada’s Smartest Person. As the season wraps up, we decided to take a look back at all our favourite moments. And, what better way to do that in the form of GIFS? 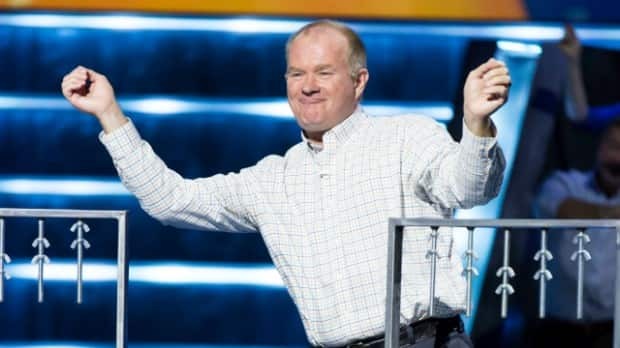 To start off the season, we learned that the winner of Canada’s Smartest Person would be given the choice to donate $20,000 to a charity that’s important to them. On episode one, we loved having Scott Thompson as a judge! He helped host Jessi with a linguistic challenge and we enjoyed every bit of it! And, remember DJ Dextrous One? His musical smarts are beyond impressive! We loved seeing Chris, an innkeeper from Round Hill, N.S., throw down some dance moves! Shawn Byfield danced his way into our hearts. He helped judge our musical intelligence challenge! And, we can't forget Josh's "dab" at the podium. Pretty epic! Having Ivan Reitman was a treat! He helped judge our linguistic intelligence challenge. And, who can forget Frankie's unbelievable 45 second movie pitch? We'd definitely buy into it! And, that time Susan Kent anchored CSP's newscast! We're loving Brittain's wave, here! Sean O'Neill was a great guest to have. He helped us judge a visual intelligence challenge about passion. And, we were touched by Michelle's amazing story. We enjoyed every moment on Canada's Smartest Person. Thank you to all the competitors who participated. Watch the season finale of Canada's Smartest Person on Sunday, Dec. 18 at 8/8:30 NT on CBC, to find out which finalist will be crowned the winner.